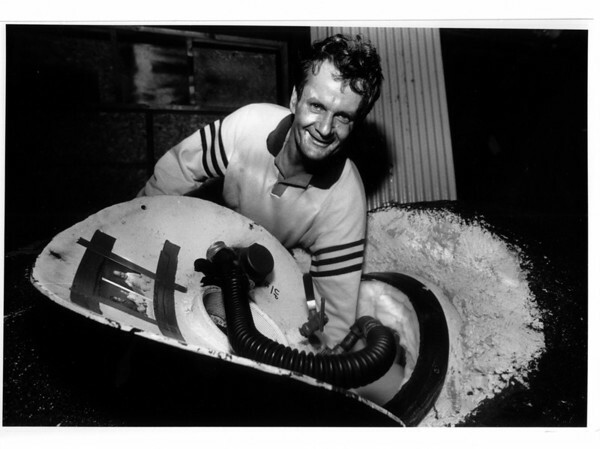 Niagara Falls, Stunters, Dave Munday with photos of grandchildren on inside of barrel hatch. James Neiss Photo. July 13, 1990.